The starter has been discovered. All classes will need to complete either the Freeport or Qeynos time line + your archtype (most likely) to see the hidden caches. Uhm... are these raid requirements? 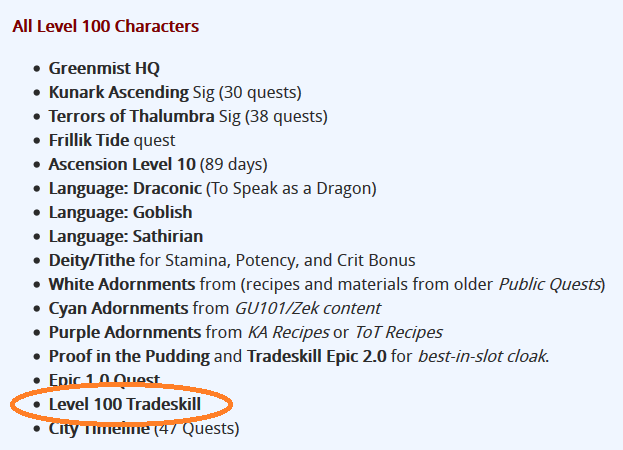 Adorns, Proof of the Pudding, tradeskill epic 2.0, Deity points, goblish, sathirian, draconic and the KA and ToT timelines are not specifically required for any of the epic 2.0 quests that have been discovered so far. Some classes may have needed some of the languages for their epic 1.0 and certainly everybody should have Draconic so they can do ER, but none of those are explicitly required for epic 2.0. I am willing to suspend my disbelief, But not hang it by the neck until dead. Gotcha. I misunderstood since it was posted in the fighter epic 2.0 thread.